Smaller Encased Coils provide the best in individualized support. Enhances the pressure relief characteristics of the sleep system. The Bali X Firm PT King Extra Firm Coil on Coil Pillow Top Mattress and Foundation by Mattress Direct at Northeast Factory Direct in the Cleveland, Eastlake, Westlake, Mentor, Medina, Macedonia, Ohio area. Product availability may vary. Contact us for the most current availability on this product. Fndtn-TXL Twin Extra Long Foundation 2 9"
Feel the individualized support with an upper layer of wrapped coils that will form to your body and fill in the areas of your back and neck, with the Vail Plush Coil on Coil Mattress. Feel the pressure relief the Visco Memory Foam lumbar area provides. The mattress is supported with sturdy hour glass shaped coils to hold up longer. 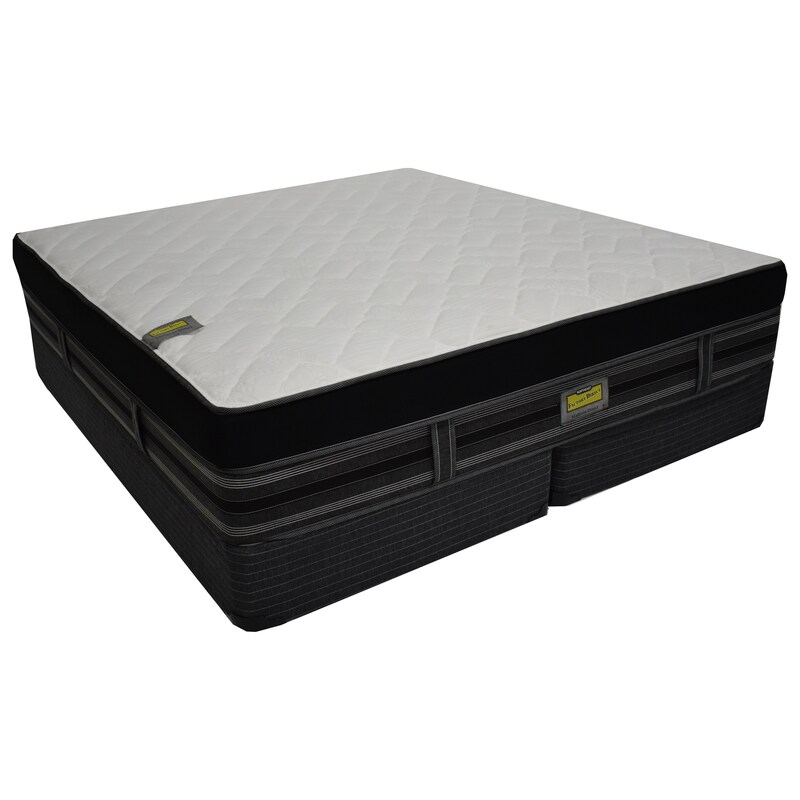 These coils are encased with high density foam giving you full surface use of your mattress and a firmer edge. This mattress would be a good mattress for a back sleeper. The Bali X Firm PT collection is a great option if you are looking for Mattresses in the Cleveland, Eastlake, Westlake, Mentor, Medina, Macedonia, Ohio area. Browse other items in the Bali X Firm PT collection from Northeast Factory Direct in the Cleveland, Eastlake, Westlake, Mentor, Medina, Macedonia, Ohio area.